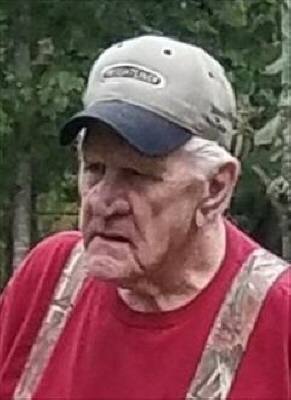 William Brent "Bill" Silvers, age 79 of Jasper, passed away Wednesday, April 10, 2019 at Wellstar Douglas Hospital in Douglasville. He was born April 23, 1939 to Luster and Venie Silvers in Jasper. Services will be held 2:00 p.m., Saturday, April 13, 2019 at the Chapel of Roper Funeral Home with Reverend Buck Parker and Reverend Ronnie Ray officiating. Interment will follow in Free Hope Baptist Church Cemetery at 156 Free Hope Road; Jasper, GA 30143. The family will be receiving friends at Roper Funeral Home Friday, April 12, 2019 from 12:00 p.m. until 9:00 p.m. and Saturday, April 13, 2019 from 9:00 a.m. until 2:00 p.m.
To send flowers or a remembrance gift to the family of William Brent "Bill" Silvers, please visit our Tribute Store. "Email Address" would like to share the life celebration of William Brent "Bill" Silvers. Click on the "link" to go to share a favorite memory or leave a condolence message for the family.